The 2017 Rally season has started and we at SAC Engineering are enthusiastically looking forward to the upcoming events. Arnold Neveling and his rally team have spent hours preparing the vehicle taking it apart and rebuilding it to ensure the vehicle is 100%. The results for the first race speaks for itself. Combined with Arnold’s exceptional driving skills & navigator Tommy Coetzee achieving a podium finish for this leg of the rally. We expect a great season as the Neveling Rally team and we wish them the best for the 2017 rally season. 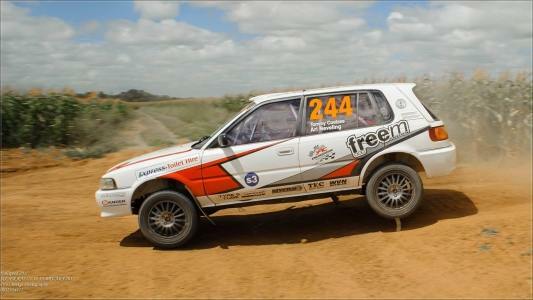 SAC Engineering proudly supports Arnold Neveling in his pursuit for rally glory. With upcoming events we are eager to see the results of the performance enhanced cylinder head which has had some extensive work done to ensure maximum efficiency.